ARE YOU IN PAIN? THEN YOU NEED AN OSTEOPATH. Dr Roger Kingston has over 20 years experience as an Osteopath and has treated thousands of adults, pregnant mums, children and babies safely and successfully. Osteopathy is a hands on system of medicine. It aims to locate and correct mechanical dysfunction in the structure and its physiological consequences. Cranial Osteopathy is an exceptionally gentle approach to whole body issues. It is suitable for babies, children and adults alike. Visceral Osteopathy; the treatment of the abdominal and pelvic organs. Many unresolved cases of back pain respond to this approach. 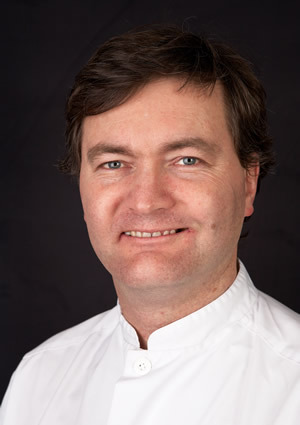 Dr Kingston has a particular interest in treating babies and received his advanced training at the Osteopathic Centre for Children in London. Children and toddlers, whilst no longer babies still require a different approach to an adult when they are receiving osteopathic care. Pregnant mums with back, groin and pelvic pain can be treated throughout pregnancy. Don’t suffer when help is at hand. Osteopathy is an ideal form of therapy for those who wish to stay mobile, active and with reduced pain levels as they get older. Acute sports injuries, rehabilitation from injury or advanced forms of performance enhancement are within the scope of osteopathic practice. DNS rehabilitation re-imprints, re-patterns into the central nervous system normal movement patterns into previously injured structures. Roger has been an osteopath for 22 years and is in full time family osteopathic practice in Buderim happily treating babies, children, pregnant mums, adults, seniors and occasionally family pets. Having studied at the European School of Osteopathy in the UK. He took higher training at the London Osteopathic Centre for Children and the Prague School of Musculoskeletal Medicine and Rehabilitation in the Czech Republic. The Buderim Osteopath has been open 4 years now and is a busy practice providing high quality individualised care. Osteopaths in Australia must be AHPRA registered and therefore have a Medicare Provider Number. This means “if” you are eligible your GP “may” be able to refer you. Roger is also registered as a provider with the DVA (Department of Veterans Affairs) and Work Cover. Likewise all the major Health Insurance funds cover treatment but we recommend you check your individual policy first. Our clients come from all over the Sunshine Coast and Hinterland. Caloundra, Kawana, Mooloolaba, Alexandra Headland, Maroochydore, Palmwoods, Nambour and Coolum are all within easy access.